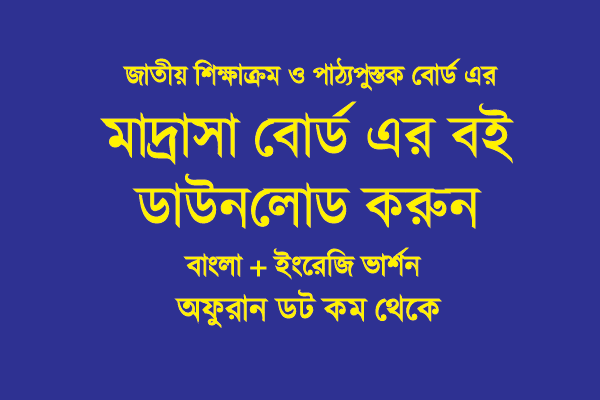 Madrasha Board 2019 - 2020 all nctb text board books down from here in PDF file format. All books are available in the internet now and you should keep this soft copy in your mobile phone and read as you wish. Among 10 education boards, Madrasah board is one of the major boards in BD, because many students take part in the Ebtedayee, Dakhil and Vocational examinations every year under this Madrasah education board. Click on the following links to download all Madrasah board nctb textbooks in PDF format. All Vocational PDF Textbook Download . Class 9 - 10 .